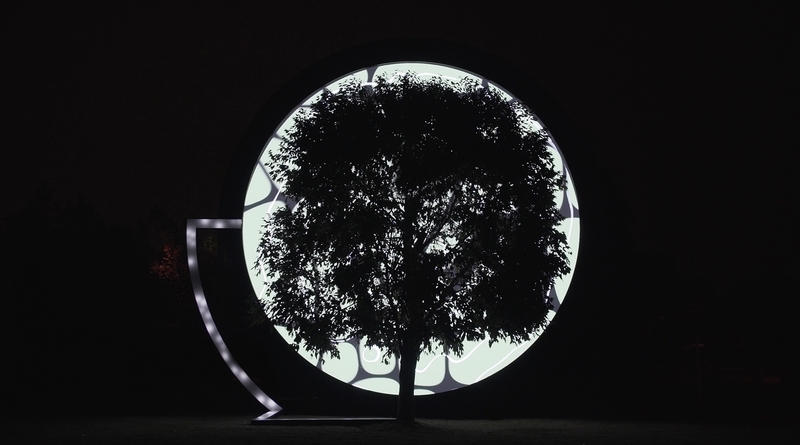 Voice of Nature visualises the state of being of a tree by using real time data in order to talk about the urgency of climate change in a way that’s undeniable. 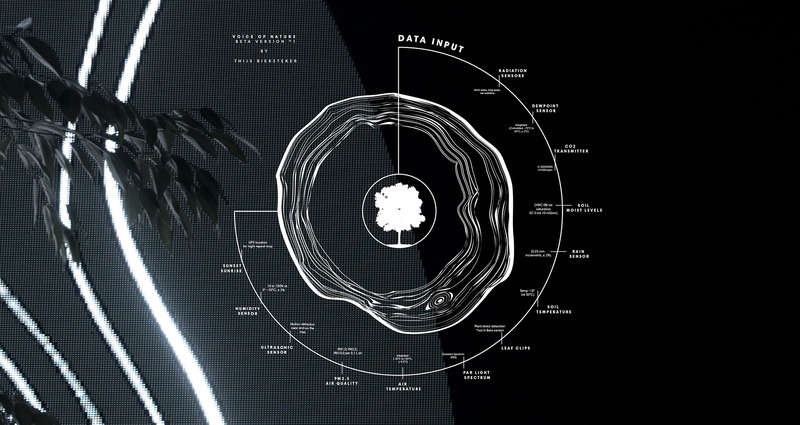 Using real time data, the algorithm can generate a tree ring every second. Indicating the tree’s well being and the impact of the environmental changes as they are happening at that moment. 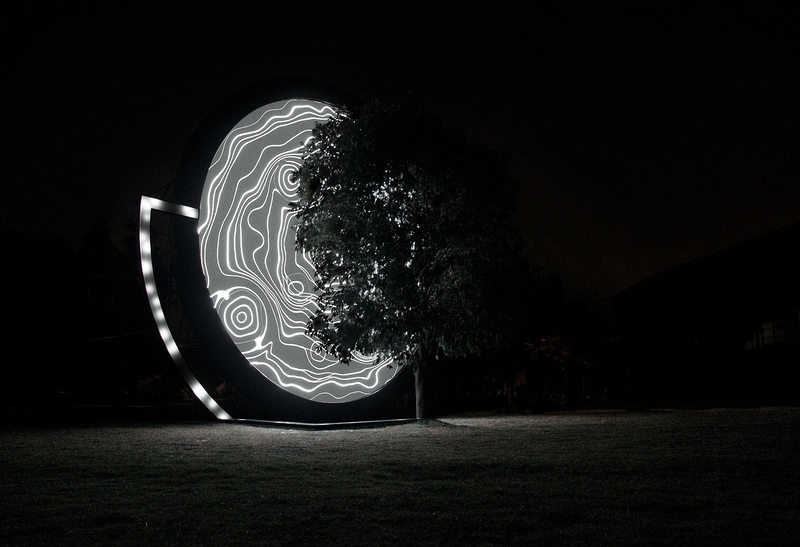 Visualised on a giant aura like screen behind the tree you see the tree rings appear in an almost meditative way. The sensors measure amongst others the par light spectrum, moist levels, soil- temperature-moist rain levels, air quality and co2 levels. 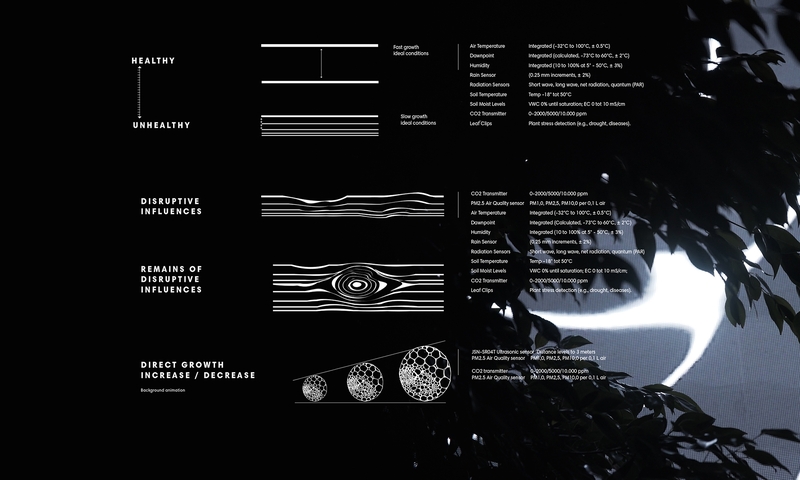 With this data we generate a ring that indicates the growth levels of the tree, second by second. 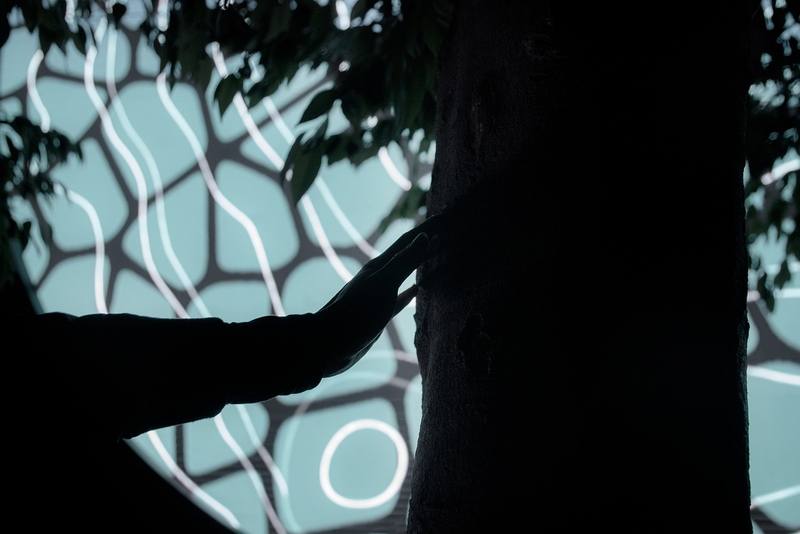 With the tree responding to human touch, Voice of Nature shows in a poetic way that humanity has a big influence on the changing climate. 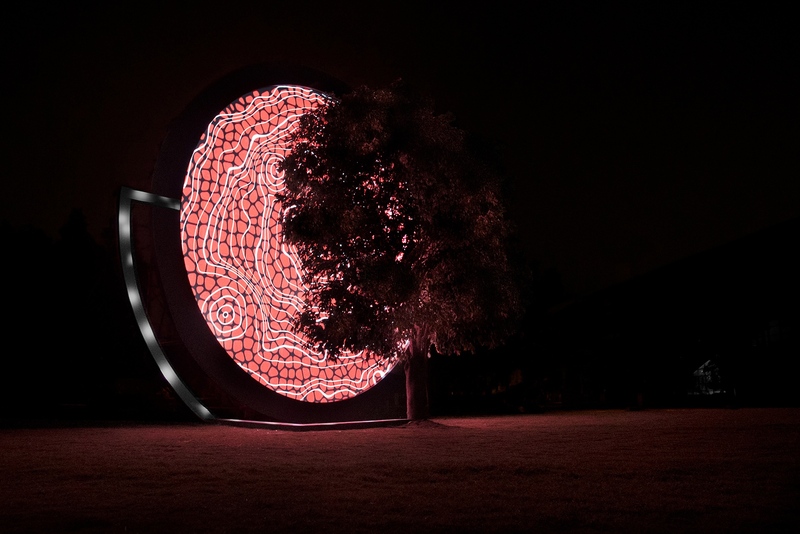 By touching the tree the artwork calms down or has its energy levels grow, leaving the spectator with an empowering message instead of the depressing idea of being powerless. 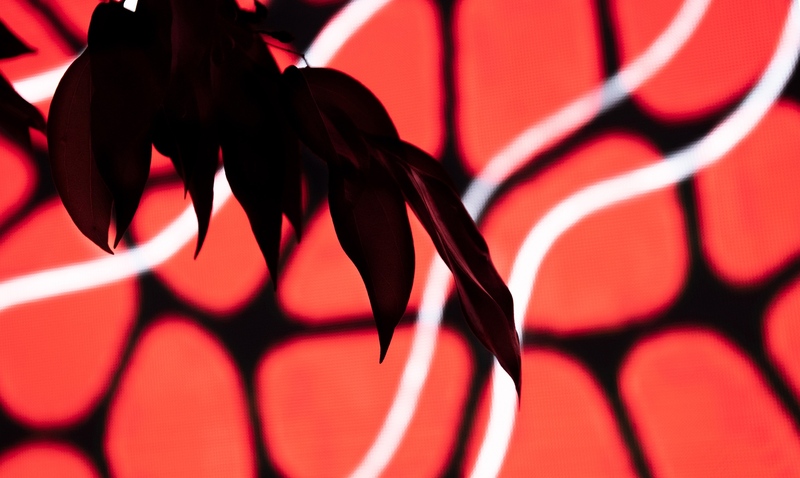 Voice of Nature has been commissioned and lead by Thijs Biersteker, an Amsterdam-based artist making the anthropocene tangible through immersive and kinetic art installations.